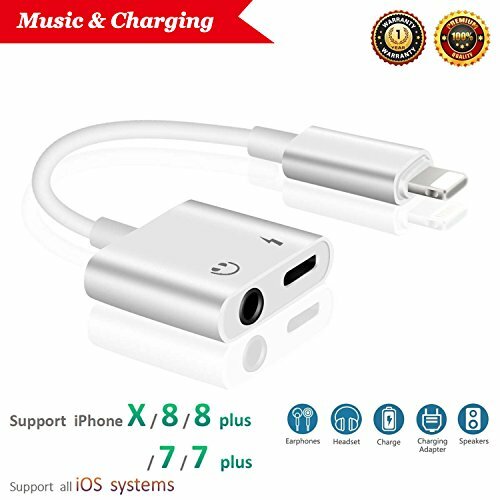 iNassen for 2 in 1 Aux Headphone Jack Audio + Charge Adapter- It has 2 Lightning Port, one port is for Charging, another is an audio port. Charging and Listening to music at the same time.Simply, lightweight, durable and very portable and perfect solution for all apple iPhone users.This product is one of the best choices for giving gifts to friends! Convenience and High Voice Quality - Made of high quality materials to ensure charging speed. Durable metal shell design to enhancing the anti-interference ability. Digital Audio Input Port Designed for iPhone 8/76/5, Small Impedance, High Sensitivity, Can Accurate to Receive Audio Data. If you have any questions about this product by iNassen, contact us by completing and submitting the form below. If you are looking for a specif part number, please include it with your message.